or are you content with just keeping pace? Do you want to influence your market, or are you content with just keeping pace? Robert takes your company through the stages that will definitively prove to you that yours can be the breakthrough business that defines the leading edge, becomes the envy of others and delivers soaring profits. Robert will teach you about Finance, Process, Offering and Delivery, the four areas that require ongoing innovation within a company. He brings you his own experience as well as real world examples of highly successful innovation in well-known companies. 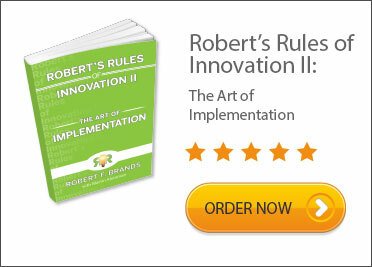 From the new product development process all the way through the net result and reward, Robert will share ideas gleaned from and defined by real success. You will leave with the desire and knowledge to innovate which will result in greater growth and profitability for your company. 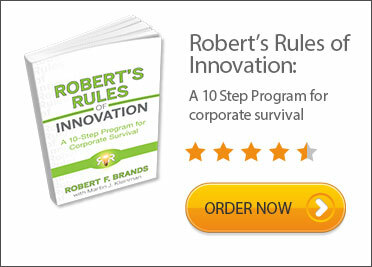 Tap into the secrets of innovation with Robert’s presentation by scheduling him today for your next event.